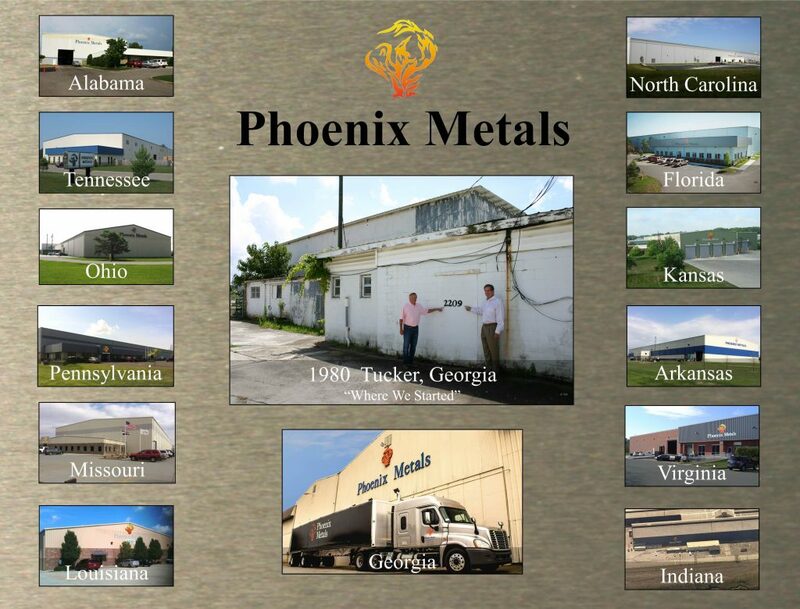 Phoenix Metals was founded in 1980 with no money and a will to out-work all competition. Our main goal was to bring honesty, integrity, and ethics to all parts of our business; keeping in mind that our employees, customers, and vendors were always to be treated as we wanted to be treated. In 1980 we had only one thing and that was a will to work and work hard. Over the years we were very fortunate to have many outstanding people believe in us and the growth continued year after year. In 1998 we made a decision to join forces with Reliance Steel & Aluminum Co. and the growth continued at an even faster pace. From our humble beginnings we now are a leading metals service center in North America. All the thanks go to our employees, customers, and vendors.